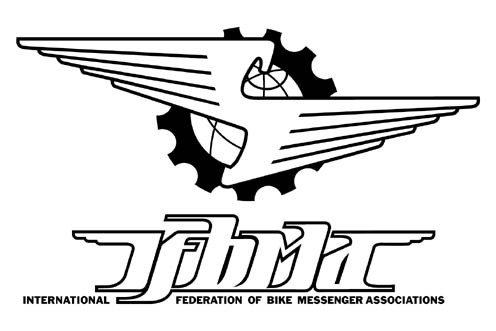 The International Federation of Bike Messenger Associations (IFBMA) is pleased to announce that Toronto bike messenger Leah Hollinsworth has been awarded the 2013 “Markus Cook Memorial Award” (MCA) for Services to the International Messenger Community. The IFBMA has awarded the Markus Cook Award (MCA) since 1998 to the person who has inspired and empowered the wider messenger community, and who puts all messengers before themselves. the following people have contributed their skills to the creation of the MCA trophy: Simon “Horse” Firth, Bilenkey Cycles, Philadelphia – found the bits around the shop to make the trophy to begin with, did the welding and had it chromed. Jonathan Schechtman, Meeting House Furniture Restoration, Vermont – Turned and stained the mahogany (sustainably harvested!) base. Jason Cohn, EGO Services, SF – engraved the first 4 name plates for the base. 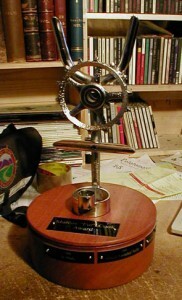 Mike Ritchey, Lo-Fi Customs, SF – welded the base plate on so that the trophy could be mounted to the base. Leah is the fifth Toronto messenger to receive the Markus Cook Award. Leah has been an important member of the messenger community for almost fifteen years. She is a community builder, race organizer and dedicated fundraiser. She works with a team of Toronto couriers to organize holiday Christmas dinners and local fundraisers to send messengers to world championships in far away cities. She has organized legendary races such Global Gutz and the 2008 Cycle Messenger World Championships. Perhaps Leah’s greatest contribution is as the Director of the Bicycle Messenger Emergency Fund (BMEF): “The Bicycle Messenger Emergency Fund is a 501 c3 nonprofit public charity organization that provides emergency compensation to bicycle messengers who are hurt on the job. Currently the BMEF allocates a $500 emergency cheque to help messengers anywhere in the world during the first week of injury. 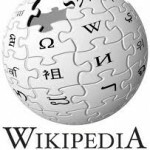 This provides a boost, to both the financial and the mental/emotional state of the injured messenger. The goal is to help the injured cope and recover.” The BMEF help messengers anywhere in the world and is entirely funded by donations. In addition to serving as the director, Leah is also one of the BMEF’s largest fundraisers. Working closely with other Toronto messengers she is one of the organizers of the MAYDAY! a messenger race and BMEF fundraiser weekend. MAYDAY has raised over $14,000 for the Bicycle Messenger Emergency Fund over the last four years. Previous PostPrevious CMWC MEXICO CITY IS JUST AROUND THE CORNER! !